I just got back from one of the first beach trips my family has ever taken. It was doggone amazing! The beach was gorgeous, despite toasting us to a crisp. I loved the way the water changed colors. The shades of blue and green were magnificent, and the sand was the softest I’ve ever felt. I’m definitely impressed! 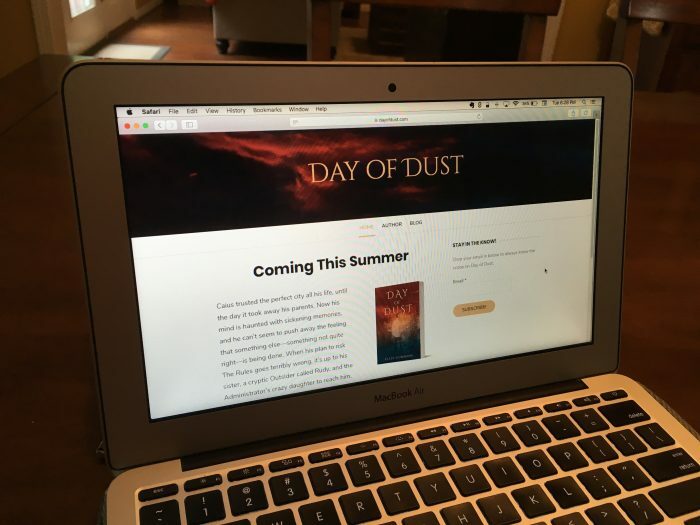 I just finished putting up a brand-spanking-new website at dayofdust.com! Get a glimpse of the new site here! I’d love to hear what you think. Also, while you’re over there, go ahead and subscribe! I’ll be posting all things Day of Dust (like updates and extra tidbits). Hehe, glad you had fun on your Florida trip despite some of the harsh conditions. Overall it sounds absolutely beautiful. I already commented on the website for your book, but the story is so captivating and it sounds like something I just won’t be able to put down. Looking forward to its release. Keep up the great work! Hmmmmm…I’m hooked. Is this a tribute to your childhood days spent in the great, dusty state of Kansas? Yeah, we just got back from our cruise, and we got extremely sunburned too! Florida’s great, the beaches are superb, except when you run into jellyfish! I love your new website Ellie! I am so hyped for your book!